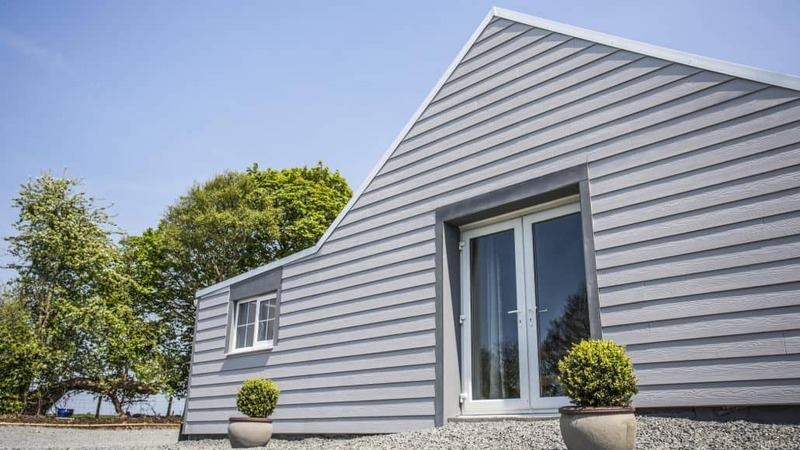 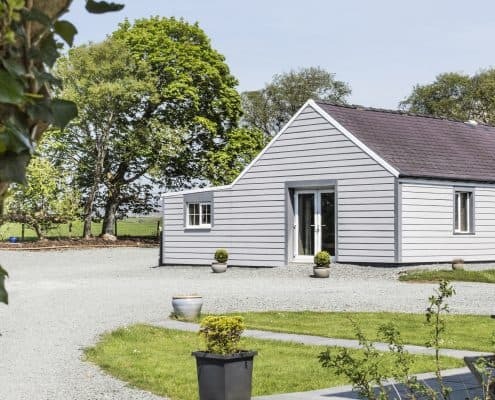 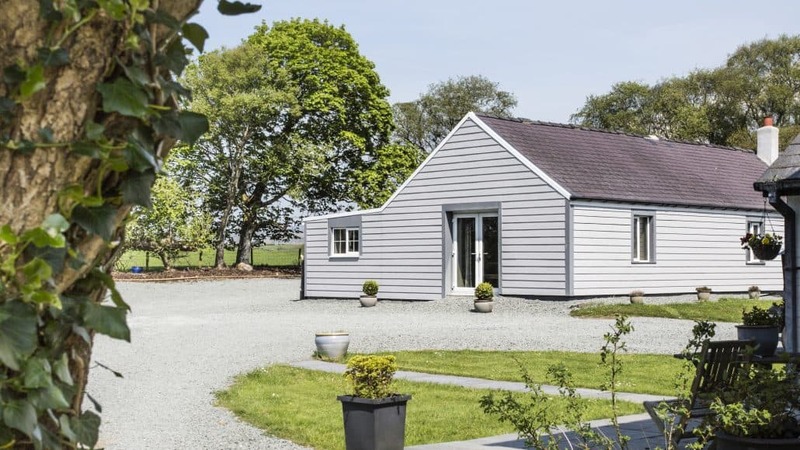 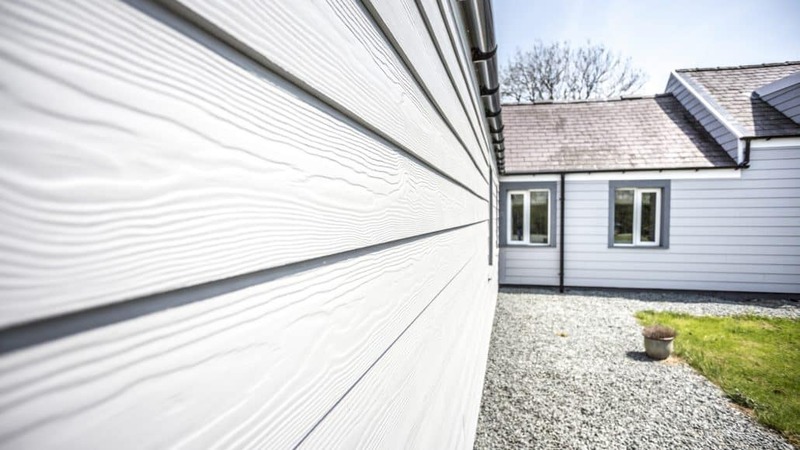 Marley Eternit’s Cedral Lap fibre cement weatherboard cladding has been at the forefront of a significant renovation of a 200-year-old Welsh barn into a striking, rural shooting lodge. 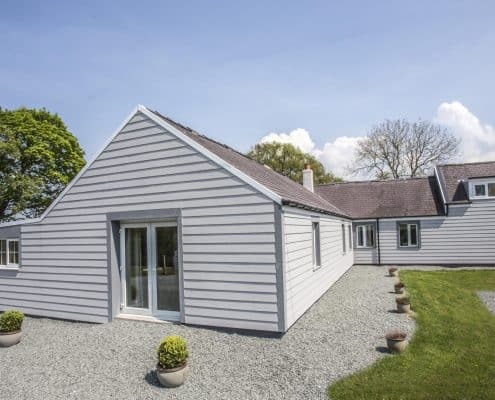 The £55,000 transformation, lead by Neath Dry Lining, took just nine weeks to complete with both the interior and exterior of the property being entirely transformed into an eight bedroom retreat. 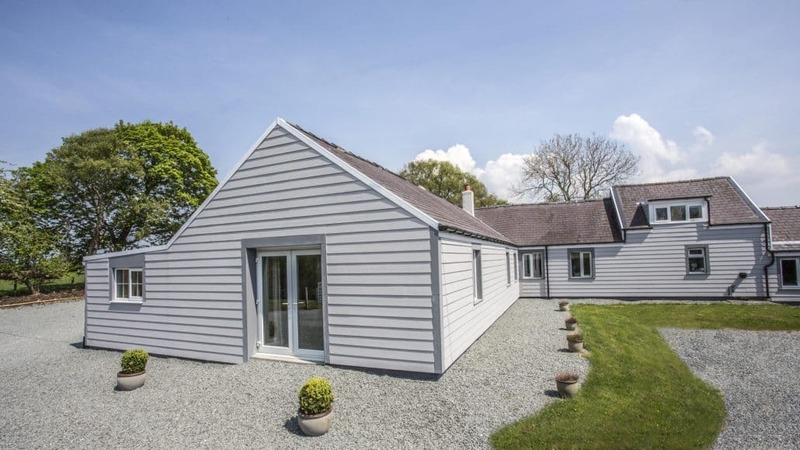 During the development, three separate buildings were joined together to create a single dwelling situated within the Welsh countryside. 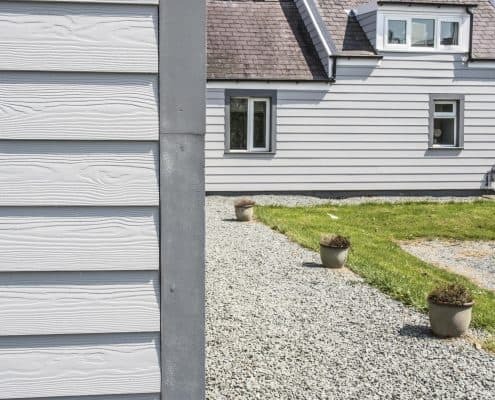 Due to its state of disrepair, the historic building presented an extremely challenging renovation project, with all uneven walls, floors and ceilings having to be replaced and straightened out before any further internal or external renovation work could take place. 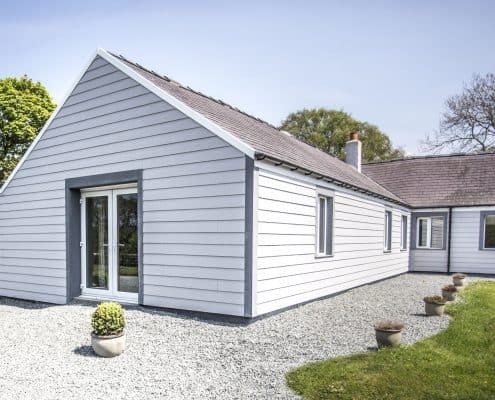 Marley Eternit’s Cedral Lap was specified for the project due to its low maintenance properties and traditional aesthetic, with the grey colour specified to mirror the natural Welsh landscape. 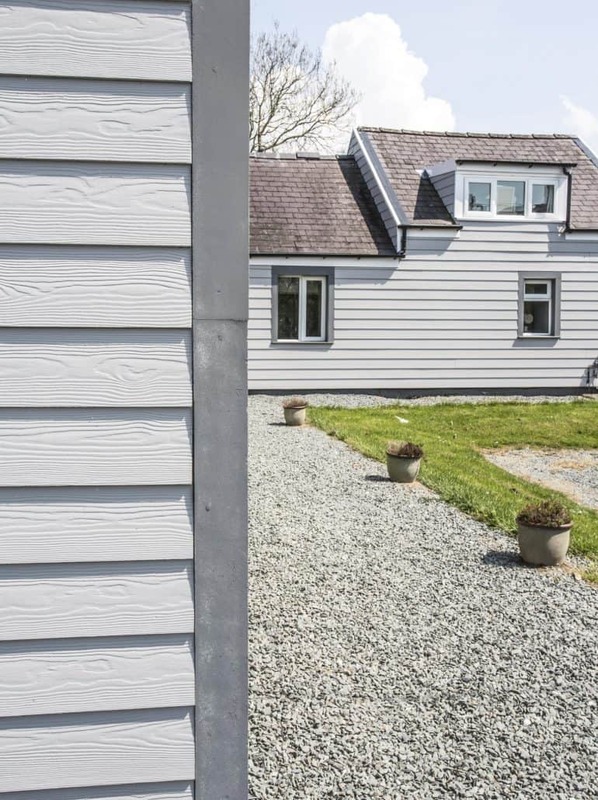 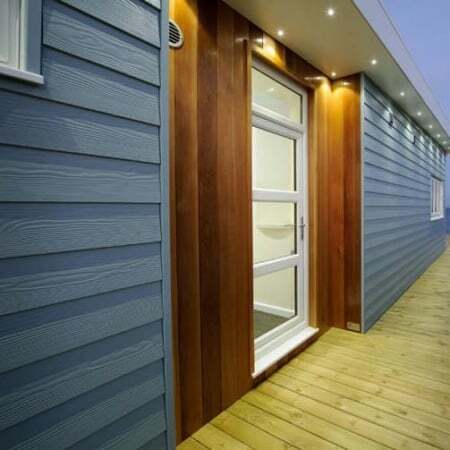 Having to be sensitive to the natural environment surrounding the development, 350 m2 of fibre cement boards were installed across the whole of the development. 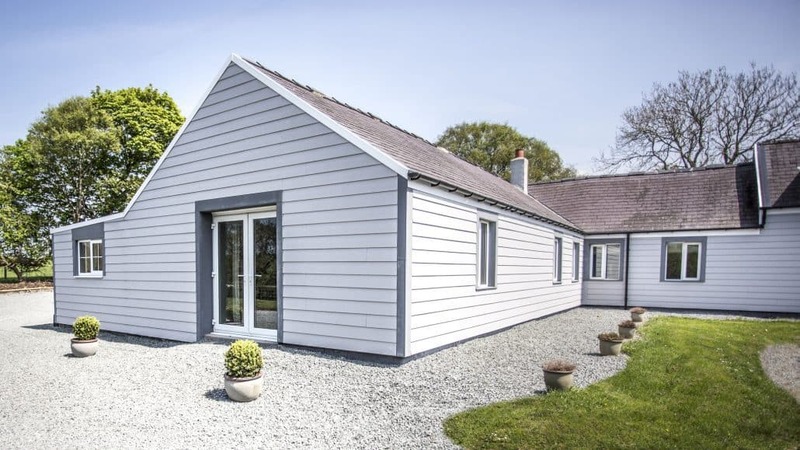 A monochrome contrast was created around the window and door frames to create a standout property. 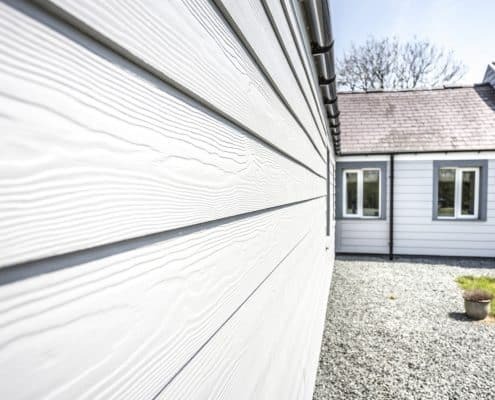 Mark Aveyard, Managing Director of Neath Dry Lining, said: “Working on such a renovation project was a fantastic chance to give a real refreshed feel to such a traditional property. 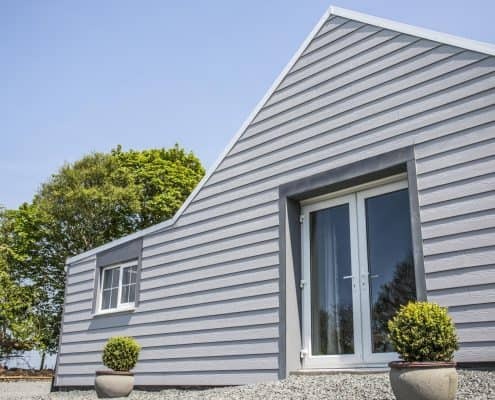 We specified Cedral Lap fibre cement boards due to their significant durability, as we wanted to use materials that would protect such an old building whilst being visually sensitive to the landscape.